McGill Nurses for Highlands Hope provides HIV/AIDS-related education and practice opportunities for students in the University’s School of Nursing. 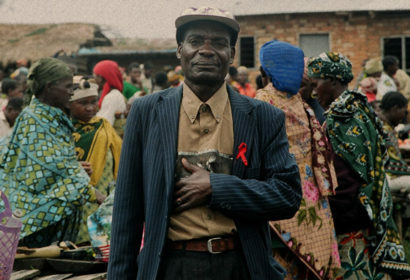 Established in 2006, the program is part of Highlands Hope Umbrella, a non-government organization that brings together community, professional and volunteer networks to address the social and health challenges related to HIV/AIDS in the Njombe region of the Southern Highlands of Tanzania. McGill Nurses for Highlands Hope supports fellowships, scholarships, visiting scholars and student projects, and helps nurses and community health workers obtain the materials and skills they need for HIV/AIDS-related work. supporting the implementation of a Point-of-Care (PoC) CD4 Testing Program for the monitoring and management of HIV/AIDS in Njombe, Tanzania. implementing a Youth Peer Health Education program to discuss HIV/AIDS in six primary schools. providing instrumental support for school fees, books and uniforms for children under the care of Kibena Women Association. For more information, see the McGill Nurses for Highlands Hope website.